First, your code on LJ is borked. 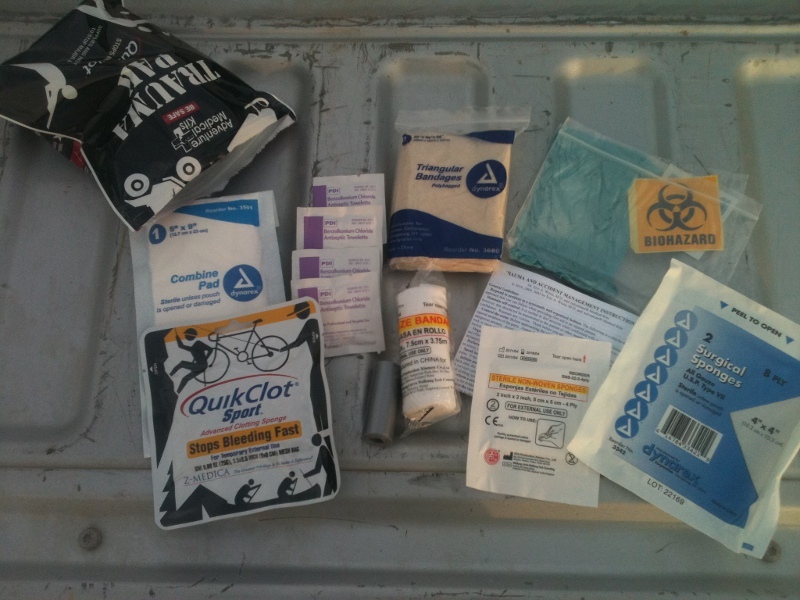 I recently took a gunshot-wound-oriented trauma class from a fellow range member and EMT. He does not recommend the QuikClot sponge, but strongly recommends the gauze. Gauze can be pressed into a wound and will provide pressure and clotting in wounds of many different sizes, while sponges are effective in only a limited range of wound sizes. He had us demonstrate this by pressing qauze or sponges into wounds cut in steaks(!) I was convinced.